Marketing folks are all atwitter (Yes, we went there – you don’t like puns?) about how social media has changed marketing. But here’s the thing: at its core, marketing hasn’t actually changed. It’s still about communication with customers. What social media has done is transform marketing by making it easier and more intuitive to connect with your customers directly while simultaneously giving you greater insight into individual needs and desires. Simply put, social media is a more efficient way to connect with customers on their own turf. There are literally millions of consumers shouting (well, tweeting, Facebooking and +1ing) what they want and when they want it on a 24-hour basis. Your challenge? Managing the data and turning it into effective marketing. When done properly, social media management allows you to increase brand awareness, improve customer service and create customer experiences that customers will rave about. How can #SMB use #socialmedia to drive success? In a word—data. In two words—using data. Social media including Twitter, Facebook, Google+ and blogs are all key to the online marketing success of any small to medium-sized business. But how can they be used to drive customer relationships? In two words: using data. In 912 words: These 5 tips will help you use the information gathered from a customer’s — or potential customer’s — social media presence using a social media management tool. Get to know your customer. By understanding their personal interests — whether it be running, sailing, or the latest episode of “Backwoods Pregnant Teens in Beauty Pageants” — you can spur new discussion. Respond to what they said about last night’s episode, ask about their training, or even just how their kitchen remodeling is going. Just get them engaged. BUT!!! Be sincere about it – you aren’t looking for an excuse to mention your product, you’re looking for a reason to connect. This is not unlike bumping into your crush at the grocery store. You wouldn’t just start by proposing marriage. You would ask about them, their upcoming 5K, or even (in a pinch), talk about the weather before you asked them on a date. The same applies to your brand in social media – you want to connect with your customers in a genuine and human way. It’s called social media for a reason – be sociable and don’t miss any opportunity to chat up a customer. JoeConsumer: @WifeConsumer just told me it’s time to remodel the kitchen. The #HoneyDo list just keeps getting bigger. Now’s the time to respond and offer advice and suggestions on how to most efficiently do the project, what pitfalls to watch out for and maybe throw in a discount offer on cabinets. However, not every insight is a good buying signal. If the same consumer tweets that his house just burned down, you probably want to hold off on offering discounted cabinets. No one likes an ambulance chaser – even one hawking deeply discounted cherry cabinets. Pay attention to customer segmentation signals – themes and interests that a significant percentage of your customers are interested in. Are your customers fans of craft beers? Use an analogy in your marketing campaigns that explains how your product is as unique as their favorite brew. Maybe your streams are full of running benchmarks and shared records of daily running activity – it’s a good bet that tying your product to the personal drive and self-satisfaction that goes with running will really resonate. The upshot is that you no longer have to guess what specific features of your product people will like – you know what they like, now just explain to them how your product matches those desires. 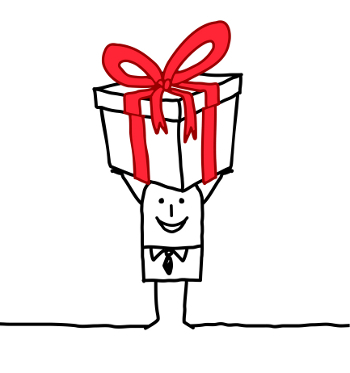 When you want to tell a customer you appreciate them, there is no better way than to send a gift that is unique (no, baskets of crackers and sausages are not unique — plus, the crackers always end up tasting like the basket). Going back to personalized campaign insights, if many of your primary customers are runners, a thoughtful gift or incentive would be a gift card to a sporting goods store. This shows them you care about them and know what matters to them and it goes a long way toward building customer loyalty. There is a caveat here – beware of becoming the Creepy Online Stalker Company. You know, like the one that hosts your email and shows you ads related to rash cream because you emailed your sister about a rash ONE TIME and it turned out to be NOTHING but still you see the ads every time you log in… There’s a fine line between insightful offers and creepy web-stalker activities. A good rule of thumb is that you should discuss (and feel comfortable discussing) the topic with your customers before offering the incentive or gift that relates to it. Take a second to read through your Facebook page. Better yet, use a social media monitoring tool (may we humbly suggest Rignite?) to conduct some conversation research for your brand or market. Afterwards you should be left standing knee deep in a big pool of data. Now comes the fun part. Grab your magnifying glass and start taking a deep look at the data. You’re looking at not only what people are saying, but how they are saying it. Sure it’s great if your customers are talking about your new line of watermelon flavored steaks, but lots of volume doesn’t automatically mean the conversation is good. You’ll want to take a look at the sentiment behind the message. Are your customers saying they love or like that new steak? That it changes their world and is indeed the very thing that causes angels to sing and seals to play tiny horns? Or are they saying the exact opposite? By analyzing the sentiment trends that emerge from the data you can identify which areas of your business are going well and which areas need improvement. Better yet, see what the sentiment around your competitors’ conversations look like. By analyzing sentiment trends you could walk away with some ideas for your next marketing campaign, new product developments and even new customers. Successful companies have learned that a big and bold social media strategy can reap big and bold rewards – but it all starts with the data your social media management system can gather for you. Using the data and signals your customers are broadcasting on Twitter, Facebook, Googe+, and more is the most effective way to make a big splash with social marketing. *Not actually guaranteed, but the chances are very very very good. Are you using social data to improve your connection with your customers? 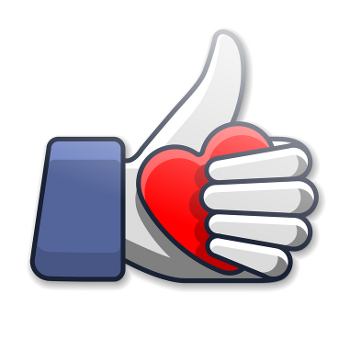 Tell us in what ways social media has helped you get more love from your customers.